One of the problems that large companies have when they are sponsoring corporate events is the fact that many people show up late for the meetings. This is certainly counterproductive for the attendees. The other issue is that people tend to slip away well before the meetings or programs end. Again, this is counterproductive and in all honesty, it wastes money. Paying for employees who may or may not show up for the events is financially irresponsible for any company. Corporate minibus services in Miami would do the trick to ensure all of the executives get to the meetings on time, all the time. 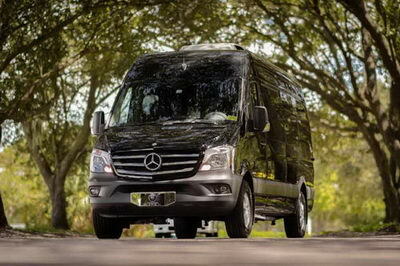 LTG Miami is the “go to” corporate minibus transportation services in Miami. Many companies provide their attendees with activities that the sponsor for when they aren’t doing “company based” events. Whether the company’s guests are going to attend a Miami Dolphins football game, or just go to a specific restaurant for a company dinner, a corporate minibus transportation services company can certainly make things run more smoothly. With a professional corporate minibus services company, the corporation can rest assured that all of their employees will get to the off duty events on time and get back to their hotels safely, even if they’ve had a few alcoholic beverages to drink. The professional drivers at Luxury Transportation Group USA provide all types of transportations services for corporate clients in Miami and the nearby cities. LTG Miami offers complete corporate transportation services in Miami. Whether your company needs corporate transportation services for one executive or many of them, Luxury Transportation Group USA is available to help. Be sure to reserve your corporate minibus transportation early to ensure your executives comfort for their trip to sunny Miami Florida.